GILERA RUNNER SP 50-125-180 -200. HEADLIGHT PROTECTOR. PROTECT YOUR COSTLY HEADLIGHT FROM FLYING STONES AND DEBRIS. THESE HEADLIGHT PROTECTORS ARE MADE FROM. CLEAN YOUR HEADLIGHT AS ALL SURFACES MUST BE CLEAN,DRY AND FREE OF OIL,GREASE,DUST, ETC. 1998-2011 Gilera Stalker 50. 2008 Gilera Stalker Naked. 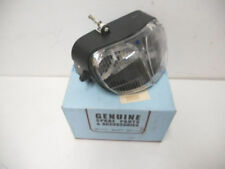 1x Genuine GILERA headlight assy. 2007-2008 Gilera Special Edition. GILERA RUNNER 50 125 200. NEW GENUINE. L70 Gilera runner flasher. Gilera runner indicators new. By Piaggio, Vespa, Gilera and APE. State NEW, for front right. New and used parts. Part Number If a part does not match or there is another reason for complaint. Gilera runner VXR200 2007. Left hand rear indicator. Important Information The item is in "used" condition. The item listed is only suitable for the model stated above. GILERA Runner 50 SP ZAPC46 Purejet (from 2006). GILERA Runner 50 SP ZAPC46 carburettor (from 2006). By Piaggio, Vespa, Gilera and APE. 1x spotlight. Headlight ext. Large range of products at super prices. INDICATOR FOR GILERA. Item : Indicator, RH rear. DNA 50 / 125 / 180. Genuine Piaggio Spare Parts. 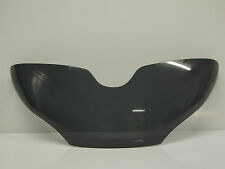 Gilera Runner 180 FXR 1 Indicator Glass Rear Left. Gilera Runner 50, 125, 180, 200. Gilera runner VXR200 2007. Right Hand Rear Indicator. The item is in "used" condition. Important Information. Removed from a Gilera ICE 50 2002 stripped for spares. Removed from an Gilera Runner VX 2000 stripped for spares. L73 Gilera stalker indicators. Gilera stalker indicators new. By Piaggio, Vespa, Gilera and APE. Front left. If a part does not match or there is another reason for complaint. Part Number Storage location. INDICATOR FOR GILERA. Genuine Gilera Spare Parts. Gilera Part No. Item : Indicator, RH Front. For best performance & reliability use Genuine Piaggio Spare Parts. GILERA Runner 180 FXR ZAPM08 2T. GILERA Runner 125 FX ZAPM07 2T. By Piaggio, Vespa, Gilera and APE. 1x spotlight. Runner headlight. Large range of products at super prices. Specializing in models. If a part does not match or there is another reason for complaint. PART NUMBER 294351. GILERA STALKER. FRONT LEFT HAND INDICATOR. LENS FOR GILERA. Genuine Gilera Spare Parts. Gilera Part No. Runner VX125 / VXR200. Item : Lens, rear light. For best performance & reliability use Genuine Piaggio Spare Parts. Gilera runner VXR125 ST 2008. Right hand rear indicator assembly. In good used condition, minor surface scratches only, good working order. The item is in "used" condition. Important Information. Removed from a Gilera Runner SP 125 2000 stripped for spares. The part has light scratches at the bottom. Built around 2005. Kraftradmarke Gilera. Modell Runner RST SP. Baugruppe Scheinwerfer. GILERA Runner 50 ZAPC462 Purejet. L70 flasher. GILERA Runner 50 ZAPCC46 / 45 carburettors. GILERA Runner 125 SP ZAPM46. GILERA Runner 200 SP ZAPM46. By Piaggio, Vespa, Gilera and APE. If a part does not match or there is another reason for complaint. Gilera GSM, Gilera H@K, Zulu, rieju RS1. -Gilera flasher. Kraftradmarke Gilera. Teilebereich Beleuchtung & Blinker Blinker. Baugruppe Beleuchtung & Blinker. distinct impression of the product to receive, because honesty is the key. Gilera Fuoco 500 ie BJ. PART No: 639185. NEW GENUINE GILERA. Runner 125 ST 4T E3 2008-2013. Runner 125 VX 4T 2005-2006. Runner 125 VX 4T E3 2007. Runner 125 VX 4T E3 Serie Speciale 2007. Runner 125 VX 4T E3 (UK) 2006-2007. Runner 125 VX 4T Race 2005-2006. Gilera runner headlight cable. By Piaggio, Vespa, Gilera and APE. BEFORE buying the plugs match, there are three variants! If a part does not match or there is another reason for complaint. GILERARunner 50 (ZAPC14, first series). LENS FOR GILERA. Genuine Gilera Spare Parts. Gilera Part No. Item : Lens, indicator - RH Rear. For best performance & reliability use Genuine Piaggio Spare Parts. Gilera Stalker 50cc 2T 2007-2012. East Sussex. Quarry Autos. All of are parts have been security marked. GILERADNA 50 ZAPC27. Gilera DNA 50 mounts. Gilera DNA box. By Piaggio, Vespa, Gilera and APE. Large range of products at super prices. Specializing in models. If a part does not match or there is another reason for complaint. M5 Z1, Z1 L73 stalker indicators. Gilera stalker indicators. By Piaggio, Vespa, Gilera and APE. GILERAStalker 50 cc. Part Number If a part does not match or there is another reason for complaint. Storage location. Gilera Runner Indicator Glass Front Right. Gilera Runner 50,125,150,180. 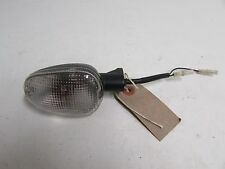 294352 RIGHT FRONT ARROW INDICATOR GILERA STALKER 50cc. MPN 294352. INFO LINE and Fax. For models from 1997 to 2004. -NEW PRODUCT-REAL PHOTO-. WITHDRAWAL RIGHTS. 294599 INDICATOR LENSE RIGHT ARROW GILERA STALKER 50 cc ORIGINAL. MPN 294599. For models from 1997 to 2004. INFO LINE and Fax. -NEW PRODUCT-REAL PHOTO-. WITHDRAWAL RIGHTS. 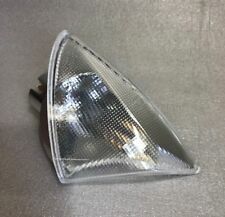 639338 RIGHT REAR or FRONT LEFT INDICATOR ARROW BEVERLY 250/500cc CARNABY CRUISER 300cc FROM 2007 to 2012. MPN 639338. Stihl-McCULLLOCH-GREEN LINE. INFO LINE and Fax. WITHDRAWAL RIGHTS. 291856 SLIDE ARROW DIRECTIONAL INDICATOR SX 50 cc GILERA ZIP FAST RAIDER RTD. MPN 291856. -NEW PRODUCT-REAL PHOTO-. WITHDRAWAL RIGHTS. 294568 SLIDE INDICATOR ARROW DX GILERA RUNNER 50 125 cc POGGIALI FX. MPN 294568. INFO LINE and Fax. -NEW PRODUCT-REAL PHOTO-. WITHDRAWAL RIGHTS. SCREW FOR GILERA. Genuine Gilera Spare Parts. Runner 50 / 125 / 180 / 200. Item : Screw, rear lens. For use with smoked / clear rear lens. Clear plastic head. INDICATOR FOR GILERA. New Gilera OEM Spare Parts. Runner (2006 on). Item : Indicator, RH rear. Storage location: Z1 L70, Z1 Runner box. 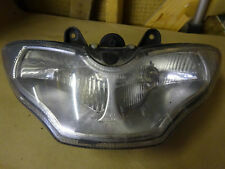 Gilera runner 50 C46 SP original turn signal HL. GILERA Runner 50, C46. GILERA Runner 125 VX, M46. GILERARunner 200 VXR, M463. By Piaggio, Vespa, Gilera and APE. 2009 GILERA RUNNER 125 4 STROKE. Location: Gilera Runner Box. Item as listed in title. Highway Motorcycles. Piaggio Gilera Eaglet 50 type 503 BJ. Piaggio Gilera Eaglet 50 type 503. Kraftradmarke Gilera. Headlight bracket. 58172 R RIGHT FRONT ARROW INDICATOR/2005 GILERA RUNNER 50 125 180 200 ORIGINAL FROM THE LEFT FENDER 2011. Stihl-McCULLLOCH-GREEN LINE. PRICE PER PIECE. INFO LINE and Fax. NEW PRODUCT-REAL PHOTO. Since 1982.